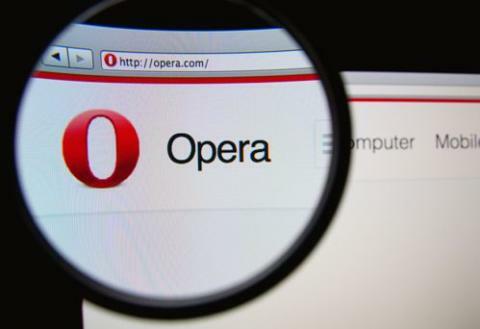 Opera issues forced password reset after Opera Sync server hack. The threat of hacking is always imminent in the online world, and anyone can become a victim at any time. One of the latest victims of such an attack was Opera, which had its cloud sync servers hacked earlier. 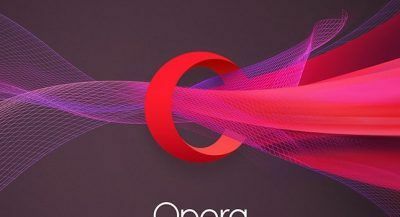 In a massive security breach, hackers gained access to the Opera cloud sync system as a result of which the company fears some data, including usernames and passwords, might have been compromised. Social networking websites, software companies, and cloud storage service providers have always been among the primary targets of hackers due to the vast amounts of user information they have. In 2012, LinkedIn bore the brunt of a massive security breach, the consequences of which are being felt even today. At the time of the attack, it was believed that the hackers stole 6.5 million encrypted passwords. However, a few months back, an additional set of data which included the emails and passwords of 117 million LinkedIn members was released. In response to the security breach, the file storage provider Dropbox asked all its users who had not changed their passwords since 2012 to change it immediately. It appears that the security breach in Opera’s case is not nearly as bad as it was with LinkedIn. The company stated that the attack was limited to its cloud sync service users, who constitute only about 0.5% of the company’s total user base. Still, it is 1.7 million users – not a small number by any stretch of imagination. The company assured that if you do not use its cloud sync services, you have nothing to worry about and do not have to change your account details. Opera also confirmed that since it only stores encrypted or hashed and salted passwords in the system, the security breach may not be as damaging as many perceive it to be. Still, as a precautionary move, the company has reset the passwords of all of its users who have an Opera sync account. It has also provided a password resetting page, where the cloud sync users can reset their password. Opera has also advised all its users, who frequent third party websites that may have synchronized with the cloud sync service, to change their passwords as well. This is one of the major problems of hacking attacks, as a security breach in one website may lead to a trail of breaches in other websites as well, as many people today use the same password for multiple websites and platforms. While it is certainly easier to have one password for all your accounts rather than having a unique password for each account, cyber security experts warn against the practice. If you use the same password across multiple services, it makes a hacker’s job alot easier. A security breach in a website with weaker security protocols could give hackers access to your password, with which they can steal sensitive data related to your personal and professional life. The security breach in case of Opera is not as damaging as it could have been, as only a small number of people use the browser. Statistics show that only 1.1% of Internet users browse with Opera. If hackers gained access to big names like Microsoft, Yahoo, or Google, the consequences would be simply unimaginable. Opera has launched a detailed investigation into the matter, and more details are expected to emerge in the coming days. The full extent of the security breach is likely to be known only after the conclusion of the investigation. What the Opera security breach shows is that it is never safe to assume that your data is safe, just because it’s stored on the servers of a high profile company. It is your primary responsibility to protect yourself against such attacks. The easiest and most effective way to do it is to set a strong password that cannot be cracked easily. You should have a separate password for each of your important accounts. This is particularly important if you frequent third party websites that often synchronize with other services. Most importantly, you should make it a habit to change all your passwords on a regular basis. These simple steps can not only lower the risk of you becoming a victim of a hacking attack but can also prevent all your data from being stolen in case of a security breach in any one of the websites you frequent.